An oldie, but a goodie. Let your muscles relax in the warm water with a bath or shower. Maybe you can shake up your normal routine by trying something new? Or if you normally don’t exercise, maybe now is the time to start. For beginners, you might like to try group fitness classes like Zumba or yoga. Or group sports like Oztag or netball. Doing 3 fast walks a day can actually have the same if not more benefits than a 30 minute run. For the more advanced, maybe shake up your routine and try something new like bungee fitness. 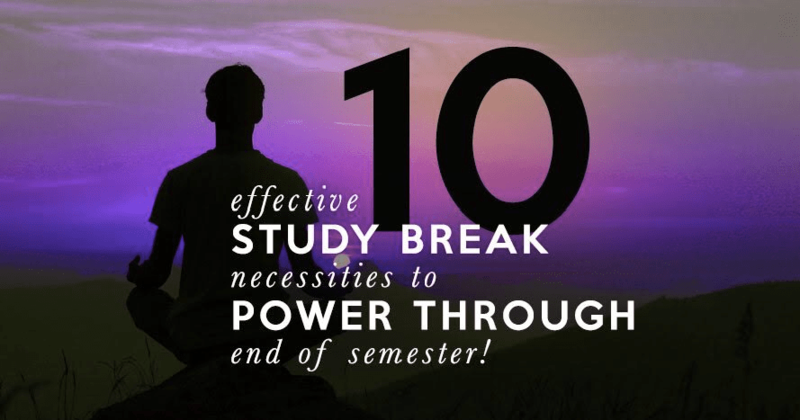 Just get your heart rate up and give your brain a well needed break from all the study. Having trouble thinking of your next essay thesis? Why not grab your iPod and take a break by listening to some music. Your brain will continue to think about your work while you take a well deserved break and listen to some tunes. Here are some suggestions from our fellow Wellbeing Warriors, Tom and Georgia: 10 Uplifting Songs to Get You Through Exams. Spring is on it’s way so take full advantage by grabbing some rays. You don’t have to go further than your garden. Just 10 minutes in the sun relaxing can feel so great. It also makes a great study break. Why not take a longer break and grab your favourite classic movie and get ready to experience some serious déjà vu. To get the ball rolling, classics could include Zoolander, Toy Story or the Lion King! If you feel like you’re lacking motivation to make it through the end of semester, try add something new into your routine so you don’t feel lethargic or that your routine is too mundane. Pop into the Sydney Dance Company which runs classes throughout the week in a variety of dance styles and you might just find a new hobby. Meditation and mindfulness is proven to relieve stress, sleep better and improve physical health. Even swapping just 10 minutes of Facebook browsing for meditation will help improve your focus and help you feel refreshed enough to catch up on those pesky readings. If you find it difficult, there are several apps to help guide you: Headspace, Calm etc. Arrange to meet up with friends you haven’t seen in a while. Whether it’s over brunch or drinks, socialising is the perfect way to get some R&R whilst having some fun. After sitting in the same position for long hours, taking some time to stretch out your muscles can re-energize you and be more beneficial than you think. As well as this, as we near exams, your study setting may have become a disaster zone without you even realising. Tidying up can be a therapeutic and relaxing means of being productive during your break. It is always easier to study in a clean and less chaotic setting. Also means you won’t waste time scrambling around trying to find stuff. At this point in the semester, it is more important than ever to focus on your sleep cycle. Research suggests that adults need a minimum of 8 hours each night. Productivity and alertness is also improved when a sleep routine is established ie. going to bed and waking up at the same time. As the name suggests, this walk starts at the Spit Bridge and finishes at Manly, and I can assure you it is well worth trekking it to the Northern Beaches. The walk goes past stacks of secret hidden beaches as well as a thousand year old Aboriginal rock engravings. This walk will take around 1.5 hours and as it finishes at Manly Beach, you can have a coffee or some food to celebrate at the finish line (and make back all those lost calories). It’s definitely something you have to do at some point and there’s no better time than the holidays! While this one is a bit pricey, it’s made our list because it’s the holidays so treat yo’ self! This experience comes with a triple-tiered platter of scones, desserts and sandwiches, as well as unlimited teas and other drinks of course! The platter would make for not only a great gram, but a super cute outing with your friends, eating and drinking while overlooking the beautiful Sydney Harbor. There are heaps of places that offer their own High Tea but here’s one in the link below. I know the art galleries have a reputation for being filled with old people and design students, but the after hours events are actually really cool! They’re filled with comedy and foreign films and a whole stack more, with the drinks being the cherry on top! There’s something on for everyone and did I mention it’s free entry?? Visit the link below for the Art Gallery of NSWupcoming events and definitely check some of them out while you still have time! Thou art more lovely than a summer’s day but art thou prepared for Shakespeare? Fancy yourself some culture? With showings of Macbeth, A Midnight Summer’s Dream, The Comedy of Errors and The Merchant of Venice, you are bound to find your hunger for comedies and tragedies satiated. The directors have promised that the show won’t host ‘dusty’ versions of Shakespeare — rather, performances will be more like a party. Sessions will running until November 4, so you can enjoy this experience during and even after the mid-semester break. One of the toughest things about being a student is your limited budget. As Wellbeing Warriors, we completely understand your plight so here is a crazy cheap, $7, movie ticket recommendation! In the heart of Sydney, Dendy Opera Quays Cinemas at Circular Quay will be screening these great releases with limited sessions available every day for an entire week! The key releases you’ll be able to catch this Mid-Sem are BlacKkKlansman starting on September 20 and Crazy Rich Asian from September 27. It’s halfway through Semester 2 and the tedium of university is setting in once again. It’s the perfect time to get involved in something new and unique, and give yourself that emotional boost you need! All clubs mentioned are open for anyone to join – students, staff, alumni and the public. The clubs cater for the novice and experienced, and are amazing opportunities to foster new friendships! For the competitive – the clubs offer social, local, regional, state and national competitions. So test yourself and compete within UNSW and against other universities! Aikido is a modern form of Japanese Martial Arts, which teaches you how to use your opponents’ energy against them. Aikido is a great way to improve timing, balance and fitness while learning invaluable self-defence skills! The club also maintains close ties to Japan with annual training camps run by the founders of UNSW Aikido. Classes are run at the UNSW Fitness and Aquatic Centre every Tuesday 8 – 9.30 pm, Wednesday 12.30 – 1.30 pm and Saturday 10.30 – 12pm. The first class is also free! Lacrosse is a mixture of football, hockey, basketball and volleyball where players carry, pass, catch, and shoot the ball into the goal. The UNSW Lacrosse club offers free learn-to-play practices and a social league for mixed lacrosse as well as box lacrosse. The club runs practice every Monday 5pm – 7pm, Wednesday 6pm and Sunday 10am – 12pm at the UNSW Futsal Court and UNSW Village Green (Sundays). Equipment is provided; only sport shoes and most importantly, yourself required! Click https://www.unswlacrosse.com/ to find out more! Kendo is defined as “The way of the sword”, and is a form of Japanese Fencing, with roots ageing back to over 1000 years ago. It is an awesome way to develop fencing skills in a safe and protected space while learning about Japanese culture and values of discipline, honour and sincerity. Training is conducted at the UNSW Unigym (UNSW Fitness & Aquatic Centre) on Mondays, Wednesdays and Fridays at 8:15 – 9:45pm. Prices vary for beginners and experienced Kendo fencers, so check out http://unswkendo.org/ to find out more! Taido is a Japanese form of Martial Arts that focuses on agility, strategy and counter techniques in three dimensions to defeat opponents. Taido is suitable for all ages and sizes as Taido techniques have an emphasis on evasion through skill and anticipation rather than blocking and shielding. No experience training sessions run on Tuesdays at 7:30pm – 9:30pm (Function Room, Sam Cracknell Pavilion) and Sundays 6pm – 8pm (Unigym/YMCA Judo Room and Court Side Studio). For the advanced, training sessions are on Thursdays 8:15pm – 10pm (Unigym/YMCA Court Side Studio). Check out https://www.arc.unsw.edu.au/sport/taido if interested! A fast paced, three-dimensional team sport where players jostle underwater to get the ball into a basket at the bottom of the pool. However, this club is more tailored to swimmers since underwater rugby is traditionally played in a 5m deep pool (the UNSW club also plays in a 2m and 4m deep pool). The club offers social and competitive games, and skilled players have the opportunity to play for the Australian team at the World Championships! The UNSW Whales A team is currently ranked #1 in Australia! Check out https://uwrugby.wordpress.com/ to learn about pricing, pool sessions and more! Rock climbing, hiking, kayaking, caving, camping, mountain biking and more! If it’s outdoors, it’s probably included – UNSW Outdoors Club offers a huge variety of outdoor activities. For a $60/year or $40/semester membership, get free attendance AND gear for all club trips, and cheap hire rates for club gear when you go on your own trips. But wait, there’s more! Membership gives you reduced rates at various places and stores, including 30% off at Macpac, and $8 sessions at the Ledge rock climbing on USYD campus. Follow the instructions at http://unswoc.org/wordpress/join/ to join! With high action and super fun gameplay, it’s like a cross between netball, touch and gridiron, but played with a plastic plate that can fly. Train casually with the team and friendly coaches, or play competitively at Uni Games! It’s a super welcoming community for people of all sporting (and non-sporting) backgrounds, something about playing a weird sport really builds great community spirit. Follow the instructions at https://unswultimate.wordpress.com/membership/ to sign up! One of UNSW’s two major dance societies on campus, MODSOC (Ministry of Dance Society) offers dance classes and competitions for a wide variety of music genres and dance styles. Whether you’re a complete beginner with 0 coordination like me, or a long-time dance expert, there’s something for everyone. The second of the two major dance societies on campus, D2MG (Dance DJ MC Graffiti, alternatively Dance 2 Meet Guys/Girls), focuses on hip-hop culture and dance. Open to all skill levels, D2MG is the place to be if you love hip-hop and want to learn how to move like the pros. Unfortunately, this is not the handball you played at school. Nevertheless, it’s still incredibly fun! It’s a fast paced sport open to all levels, a combination of netball, indoor soccer and pure chaos. You’re probably familiar with the blowhole that has made Kiama an Insta-friendly destination for day trips and adventures in Sydney’s backyard. But this coastal town has a lot more under its sleeve than you might think; just a short drive from its city centre, one can find lush subtropical rainforests at Minnamurra, where a newly-installed suspension bridge walkway meanders for 1.6km through the lush forest canopy. 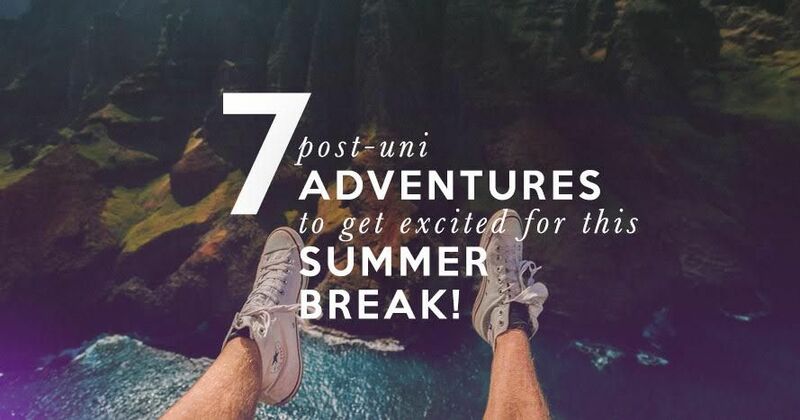 Top that off with a day at Jamberoo and plenty of local markets and festivals, and you’re set for a sweet summer trip with your friends. About an hour’s drive from Sydney, Glenworth Valley offers an unrivalled landscape for exploring the very best of the Central Coast. Embrace the extra and spend a day riding horseback through sandstone gullies, or kayak your way down the Popran Creek through acres of protected national park. Camping facilities and walking tracks through the forest make this area even more attractive if you want to spend a few nights out in the stars. Who said the Mountains are only good for winter? As summer brings ever-warmer temperatures to Sydney itself, the UNESCO World Heritage-listed Blue Mountains are a fantastic place to beat the heat without travelling too far. Trains from Central can take you right to the heart of Katoomba, from which no less than 81 graded walks provide fantastic experiences for all skill levels. My tip: skip Scenic World, and explore the many lookouts for yourself. The dramatic valleys make for a fine place to vent off steam from exams and finish the semester (and the year) in style. If you’ve grown weary of light shows like Vivid and the New Year’s Eve fireworks, turn to nature for a more enchanting display. Hidden in Wollemi National Park is a 500m disused railway tunnel which you can now freely walk through. Though the steam trains have long passed this place, huge colonies of bioluminescent (read: glow-in-the-dark) worms have reclaimed the entirety of the tunnel, allowing visitors to witness a natural miracle. Unlike most glow-worm caves, this pitch-black tunnel is completely free and accessible to the public during the day; the cool subterranean environment provides welcome respite if you’ve been sweating it out through the Sydney summer. 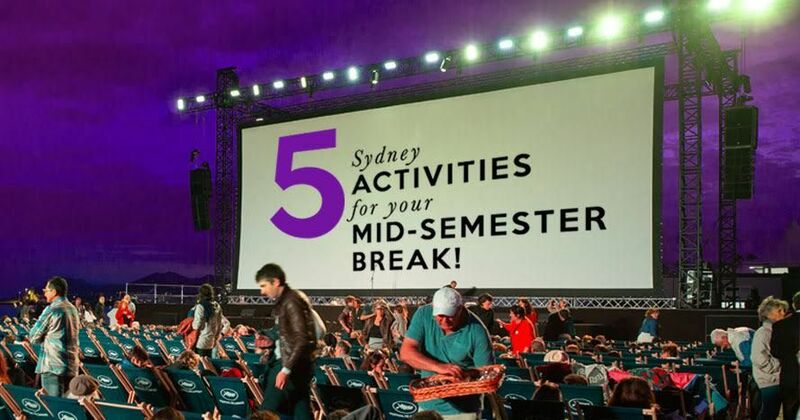 Most people have probably seen Sydney’s iconic Harbour Bridge more than they’ve needed to but the uni break could provide you with the perfect opportunity to experience our iconic landmark from new heights. It’s been on our bucket lists since we were 12 years old so take this opportunity to live out those primary school dreams before trimesters kick in. There is no better way to finish a year than getting into those grey and blue jumpsuits, gathering a few of your mates together and heading up to one of the most breathtaking views our land down under has to offer. A natural wonder in its own right, Jervis Bay offers the perfect escape from the busy city life. Offering white coastlines and crystal clear waters, the bay is swarming with fun-filled recreational activities including kayaking, dolphin watching tours, surf schools and stand-up paddle boarding. There are even beach huts available to hire out for a relaxing picnic and the ultimate winding down session. Jervis bay also boasts a gorgeous national park and diving spots with nooks and crannies that will allow you to reconnect with nature on an intimate level. With so many adventures awaiting, say g’day to Jervis Bay. Right in the heart of Sydney Harbour awaits a 5-star glamping adventure that is world-renowned. 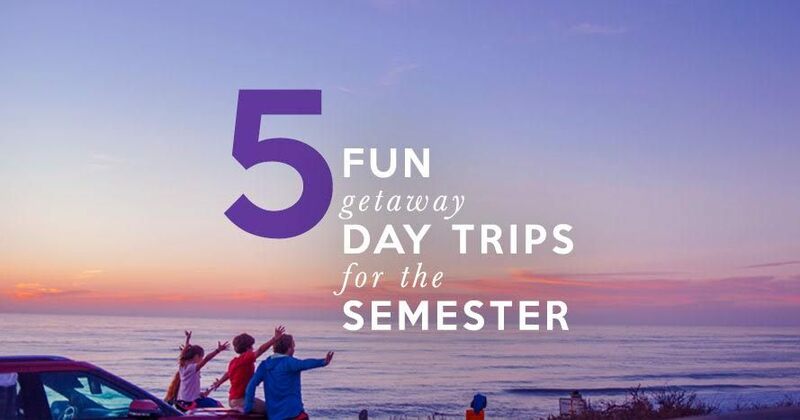 Take a ferry out to this majestic island that offers exemplary adventures through nature, specialised sunrise tours and haunted history treks that are sure to spice up your uni break. Another great avenue to consider is the New Years Eve Glamping packages where you and your mates can settle into this UNESCO world-heritage listed campsite and enjoy Sydney’s incredible fireworks display. Can’t think of a better way to welcome in the new year. The Education Portfolio tells you what's good! Is There More Than Law? There is a career for you beyond Law. The importance of meditation in keeping us focused and calm, and how we can do it! Hints and tips to get you through the vigours of Law student life. Let's get physical (at law school)! Let's change the way we look at mental illness and wellbeing.